I've been quiet (read: frantic) these last couple days, but Tim tells me it's my turn on "The Blog." I hope everyone is enjoying the old advertisements in issues 27-38 of the Journal. Comics used to be cheap. What? There's other stuff on this site? No one told me. House cleaning dept: We're having a little trouble with our RSS feeds, but these are the links. They'll be more obviously accessible very soon. As Tim mentioned, we'll be using this space for all kinds of things. But today I want to mention some things that have run across my desk. Paul "Pops" Karasik sent me a link to this hot new game inspired by a certain cartoonist whose work he poured his heart and soul into. Missing the point doesn't even cover it. But it takes all kinds, I guess. Rumor has it that the Nancy book PK is working on with Mark Newgarden is quickly taking on the properties of a masterpiece of comics theory and history. My very first interview in this hoary field was with Paul (and edited by Tim, of "Tim Hodler" fame, along with pal Patrick Smith), and that split my brain in two. It was through Paul that I met Mark, who then turned my brain to dust, and thanks to Mark that I met Gary Panter, who gently released said brain dust over a field of aging newsprint. So, really, my present state of mind is basically Paul's fault. All this from a link he innocently sent to me. Well, he'll never do that again. Speaking of Gary, he needs help identifying an artist. 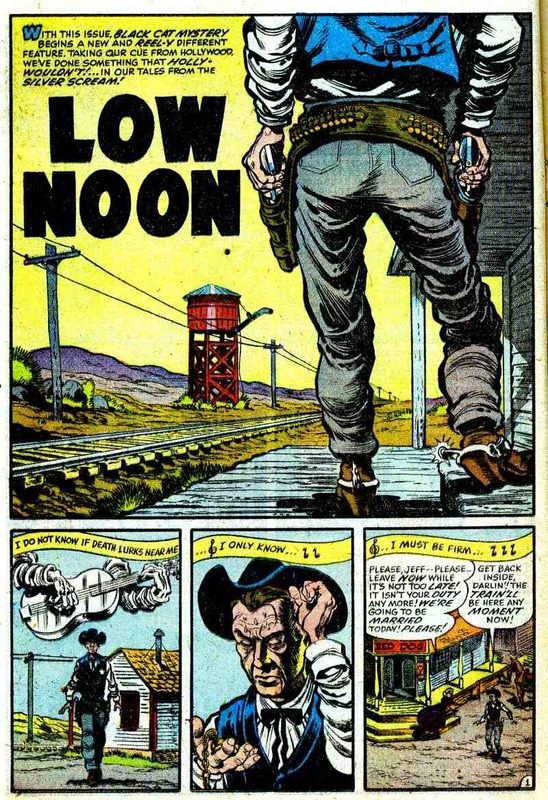 I'd asked him who I should write about next, and, well, I'll let him explain: "There was another artist, lost to time, whose work looked like Jack Davis combined with Don Martin. Very crude yet confident. Maybe it was one of them but I think not. His monster comics occasional appeared in early '60s monster mags like Castle of Frankenstein. Maybe a Spanish name. Never saw the work again." He has me stumped, but I bet someone out there knows the answer. Have at it, people. Anyhow, onwards: Did you know that Ben Katchor has a blog and a Twitter account? The blog is of particular interest because he seems to be posting his research into 19th and early 20th century picture stories. He's kind of publicly charting his own literary/aesthetic history. More, please, Ben! In the credit-where-credit-is-due dept., Doug Harvey takes a look at a new claim on the origins of the iconic Rat Fink character, which, according to a recent book, was not, in fact, first drawn by Ed "Big Daddy" Roth. The Rat Fink is one of the earliest icons of commercial cartoon grotesque -- right up there with Basil Wolverton's Lena Hyena cover for Mad. I won't insult your intelligence by suggesting you're not following the excellent series of Jack Kirby panel examinations over at HiLobrow, but Glen David Gold's installment on Journey into Mystery #72 looks at a rare bit of comedic absurdity on a Kirby monster page. Be aware dept: Maira Kalman is opening a retrospective at the Jewish Museum on Friday. Kalman being the wry and funny New Yorker cover artist, children's book author and rather brilliant picture story maker. I kinda think she figured out web comics pretty damn well. As Tom Spurgeon might say, everyone claims Maira Kalman except for comics. And finally, conflict of interest alert (I publish Ben's work, but I'm not involved in this property): The Ben Jones animated TV show, Problem Solverz, will debut on the Cartoon Network in April. Here's a fresh trailer for it. I mention this because Jones is probably the first "underground" cartoonist of my generation to make this transition: A full fledged season of his own show. 5 Responses to I Work Here, Too! My first guess would be Nostrand, too, but why don't you ask Bhob Stewart? It would give you a reason to maybe do a big interview with him. Nothing against Ben Jones' animation or fine art work but I really feel like comics is his strongest medium. I'm guessing there isn't much financial incentive for him to do them relative to his success in animation and fine art. Jack Davis + Don Martin = Carlos Giménez?